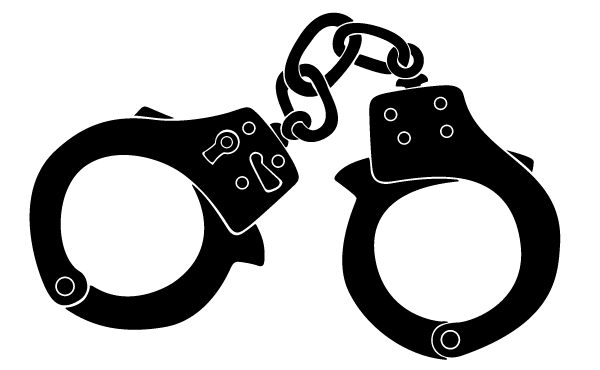 Home » Practical Advice » So I Got Arrested, Now What Happens? So I Got Arrested, Now What Happens? Comments Off on So I Got Arrested, Now What Happens? The Most obvious answer is of course, the metal bracelets are squeezed down tight onto your wrists and you take the long ride to one of the many local “bars & locks motels” around town. BUT THEN WHAT? First you will be booked into the jail. This includes taking a booking photo, fingerprinting, and evaluating your mental state to see if you need specialized or segregated detention. A final warrant check is done to see if you have any holds from other counties in Texas, felony out of state warrants, or Federal warrants. Depending on many things (among them how crowded the jail is that night and what staff happen to be working), you will get to make the infamous one-phone-call. At this point you want to call someone that will find you a bondsman, or a bondsman directly. They make money off of people in your situation and they want your business, any number of them would be glad to assist you in getting out of the clink. If you do not bond out, you will be presented before a magistrate, usually within 12 hours (although it can take somewhat longer due to the factors I listed earlier). The magistrate will read the charges against you, the probable cause for your arrest, and detail the potential range of punishment. After you bond out you will be given a court date. Depending on the size of the county and the way that they handle their dockets (and, again, those factors I listed above), this will be anywhere from within a week to 6 weeks or so. If you are charged with committing a Misdemeanor, your case will be presented to one of the District Attorneys of the County and if they accept the charges, you will be charged by Misdemeanor Information. If you are charged with a Felony, your case will be presented to a Grand Jury that will decide if there is probable cause to believe the offense you are suspected of committing. In some situations, your attorney may present a grand jury packet. Basically this is information that your attorney wants the Grand Jury to review in deciding whether or not you will be charged with the crime. In other situations, your attorney may waive indictment. If you do not bond out, the same process occurs. The only difference being that you will wait it out from within the jail. At your arraignment the court will read over the charges against you, inform you of the range of punishment, take your plea, and ask if you have retained an attorney. This will be a repeat of what you have already heard if you did not bond out within the first day after you were arrested; the judge will again go over the same information the magistrate did at that time. If you cannot afford an attorney, you will be appointed one immediately if you are still in jail on your arraignment date. If you are on bond, the procedure for obtaining a court appointed lawyer varies from court to court. Some Judges will ask you questions about your financial situation on the spot and assess whether they think you are truly indigent and in need of appointed representation. Others will tell you they will reset your case, and want you to contact 4 or 5 attorneys and come back with their names, numbers, prices, and why you can’t afford it. Still others will send you to fill out paperwork for appointed counsel immediately after you assert your need for appointed counsel. Once you have an attorney, your attorney will engage in the discovery process along with the District Attorney handling your case. This a critical point in the process, and can include discovery requests, hiring investigators, reviewing evidence (including video or audio recordings), interviewing witnesses, and issuing subpoenas, etc. After discovery is complete (or mostly complete), your attorney will bring any plea offers from the state to you, and the two of you will make the decision to accept a plea, or set the case for a trial by judge or by jury.